The manual of operating procedures serves as a reference document to communicate the general rules of engagement of member institutions and also establishes the framework procedures, structures and relationships within the Network. The information and procedures in this manual are consistent with the principles of UNESCO’s Comprehensive Partnership Strategy section on UNEVOC Network endorsed at the 192nd session of the Executive Board on 6 September 2013 and subsequently adopted by the General Conference at its 37th session. 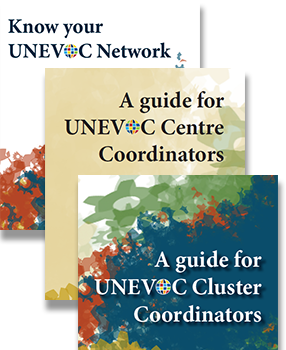 The manual aims to be of use to member institutions of the UNEVOC Network called UNEVOC Centre as well as to all TVET stakeholders including National Commissions for UNESCO in order to better understand the Network processes, the benefits for having active UNEVOC Centres in a country and the opportunities for stimulating collaborations with TVET stakeholders within a country. The manual is available in pdf format in all six official languages of the United Nations.